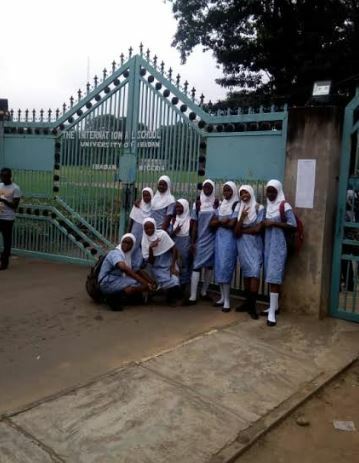 The crisis rocking the University of Ibadan International School over the use of Hijab by female Muslim students took another dimension Thursday morning when the school management barred some Hijab-wearing students of the school from entering the premises of the school. DAILY POST recalls that academic activities were paralysed in the school on Monday when the school shut the classes against the students of the school because some of the students wore Hijab. 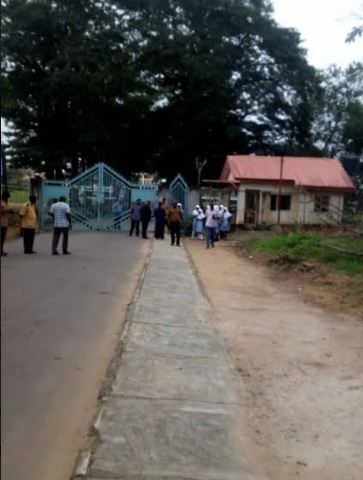 The school management, it was gathered shut the gate of the school against the female Muslim students who wore the Hijab to the school Thursday morning. Chairman, University of Ibadan International School Muslim Parentsâ€™ Forum, Alhaji Abdulrahman Balogun confirmed this development to DAILY POST in a statement Thursday morning. Balogun said, â€œBreaking: All Hijab wearing students locked out at the gate of ISIâ€. It was also gathered that the school also locked no fewer than eight Hijab-wearing students in one of its libraries when they refused to remove their Hijabs on Wednesday. 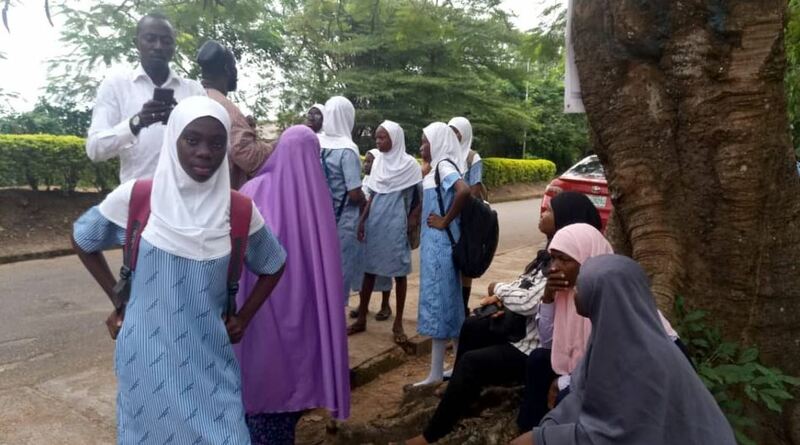 Balogun earlier in a statement sent to DAILY POST Wednesday evening maintained that the eight students were locked in the school library when they refused to remove their Hijab on Wednesday. He also informed journalists that the school management, after locking the students, thereafter conducted two tests for their colleagues in their absence. Balogun said, â€œISI 8. Our Hijab heroines that were sent out of class today. Aliyah Adebayo, Aliyah Dokpesi, Akifah Dokpesi, Fadeelah Akinbile, Iman Akinosho, Ikhlas Badiru, Mardiyyah Yekinni and Hamdallah Olosunde. On Hijab, we stand for ISI 8â€. He said that the Muslim parents will continue to resist all attempts to intimidate and harass their children in the school. He added, â€œWe will resist all attempts to intimidate and harass our girls. They went to their classes and coerced them, hence some of them removed their hijabs while those who refused were sent out of their classes and locked up in the library till the close of school and made sure there was two test in the class. He, however, warned that the parents will hold the school Principal, Mrs. Phebean Olowe responsible should anything happens to the students. He said, â€œThe parent will hold the principal, Mrs Phebean Olowe responsible should anything untoward happens to our girls. This is the last warning not to coerce our daughters into submission just as she did to several other girls who reported her to us. We shall use all legal means to ensure that the fundamental and God-given rights of your children are not trampled upon by the Principalâ€. However, all efforts by DAILY POST to get reactions of the school Principal, Mrs. Phebean Olowe on why the students were locked up in the library on Wednesday and why they were not allowed to enter the school premises on Thursday proved abortive as several calls put through to her mobile phone number Thursday morning were not taken.